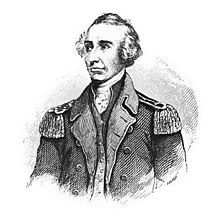 Francis Marion (c. 1732 – February 27, 1795) was a military officer who served in the American Revolutionary War (1775-1783). Acting with the Continental Army and South Carolina militia commissions, he was a persistent adversary of the British in their occupation of South Carolina and Charleston in 1780 and 1781, even after the Continental Army was driven out of the state in the Battle of Camden. Marion used irregular methods of warfare and is considered one of the fathers of modern guerrilla warfare and maneuver warfare, and is credited in the lineage of the United States Army Rangers and the other American military Special Forces such as the "Green Berets". He was known as The Swamp Fox.